Nevada City Major Injury Crash – Local officials have reported that a major injury accident occurred near Nevada City during the afternoon of Monday, August 27, 2018. According to officers from Grass Valley California Highway Patrol (CHP), the crash took place on a local rural road. CHP reported that one person was severely injured during the crash. The injured person was identified as Clark Staves, a 59-year-old man from Nevada City. As of Tuesday, August 28, 2018, Staves remained in custody of the Sutter Roseville Medical Center. Hospital staff has reported that Mr. Staves is still in critical condition. My sympathy is with Mr. Staves’ family as their loved one fights for his life. CHP stated that the accident occurred at about 3:35 p.m. Mr. Staves had been driving a Ford F250 pickup truck on Purdon Road to the north of the Ranch Road intersection. While driving along the road, Staves’ vehicle appears to have suddenly veered off of the roadway. After exiting the road, the pickup truck rolled around 30 feet down a steep roadside embankment, rolling over multiple times. No other vehicles were involved in the crash. According to CHP, responders were sent to the accident site immediately after the crash was reported. Responders found that Staves had not been wearing a seatbelt at the time of the accident and was ejected from his vehicle as it was rolling over. Staves was found with major injuries and placed on a helicopter ambulance before being rushed to an intensive care unit. Authorities of CHP closed Purdon Road to traffic for around an hour while responders retrieved the vehicle and investigators looked at the accident site. So far, CHP has not determined why Staves’ vehicle left the roadway. However, officers have stated that they do not believe alcohol or drugs to have been involved in causing the crash. 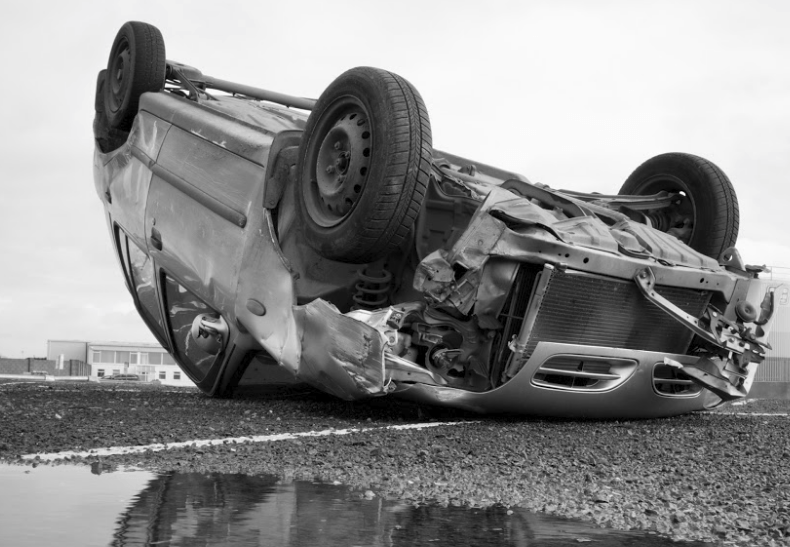 Factors frequently at fault in accidents such as this one include auto part defects, medical emergencies, roadway hazards, and more. In cases where an accident is caused by a negligent party, injured individuals can usually claim compensation for their injuries. However, pursuing accident compensation can be difficult and most injured people are doing their best simply to recover. Because of this, having an attorney on your side when seeking accident injury payments is a good idea. In most cases, injured parties have up to two years to file a claim. However, this time period can be as short as six months, a period of time that often flies by. Calling a lawyer as soon as you can will ensure that you meet the proper deadlines and can prevent liable parties from obscuring evidence. I’m Ed Smith, a Nevada City personal injury lawyer. Injuries sustained in crashes are often serious. If a crash has hurt you, call me at (530) 392-9400 or (800) 404-5400 for free, friendly advice. Also, feel free to contact me online. I’ve been helping Nevada City residents with getting fair wrongful death and personal injury repayment since 1982. I’m in the Million Dollar Advocates Forum. A forum membership shows you have won or settled a case which exceeded a value of $1,000,000. My website, AutoAccident.com, is the leader for online information and news about car accidents and personal injury in Northern CA.